Who would I be today without traveling? Well… I cannot imagine it! I’ve always been willing to discover new places, people, and the wilderness. I’ve loved experiencing new challenges and through them, learn more about myself. In the last 10 years, I’ve been lucky enough to join several research projects as field assistant, which has allowed me to visit parts of the world that otherwise I would never have seen. I have worked in Europe, New Zealand, Australia and South Africa…what great experiences!! While traveling, I’ve met awesome people, learned several life lessons, found out what I really like about research and last but not least, I met my girlfriend, who will become my wife in four months’ time! Field assistants are crucial for the collection of data of a research project, especially for a research like mine, where my focal species only breeds for a very short period of time during which I need to gather as much data as possible. 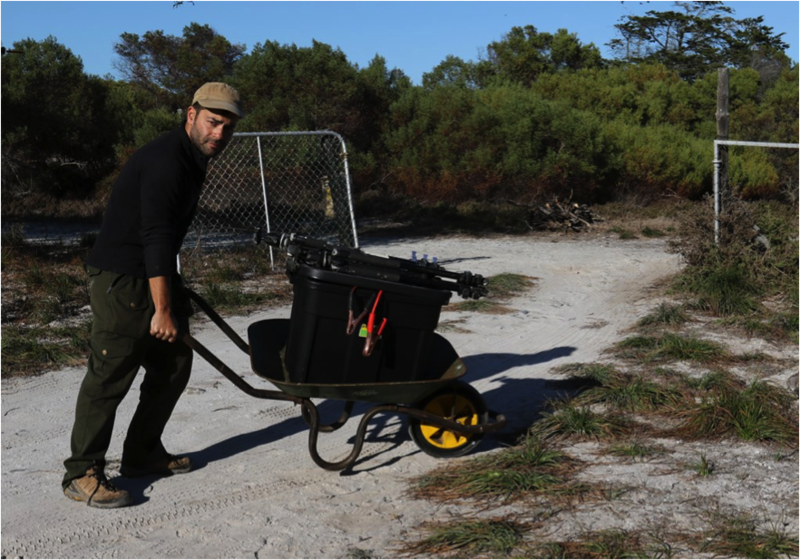 If I don’t grab all the data that I can get, I can’t just re-run an experiment like lab scientists do – in fieldwork, you can never turn back time to the start of a breeding season, and the animals can disappear, never to be seen again. So, I really want to thank all the field assistants that have helped with my project over the last 3 years. 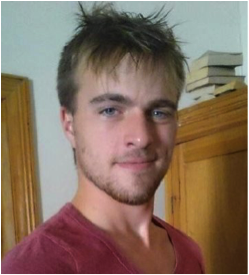 My name is Maël Leroux, I’m a 21-year-old French student in zoology. I came to South Africa last September in order to add some practical experience to my theoretical skills. After few months around South Africa trying to find an internship, I was spotted by Davide, who offered me a position as field assistant for his PhD project. He told me I was supposed to work on Robben Island (Cool!) studying the behaviour of Swift Terns (what tern??? I have never heard about them before!!) Well… I was very curious and intrigued so I accepted immediately! Davide explained to me a bit about the project by email and I knew from the beginning that it would be a fantastic experience. I meet him a few days after I arrived in Cape Town, and not even a week later, I was on a boat, direction …Robben Island…wow! 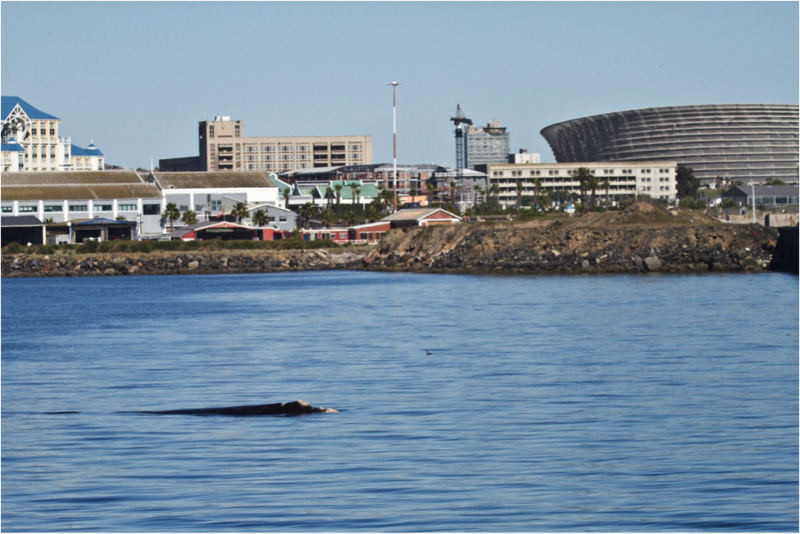 As soon as the boat left the waterfront, I was fully into this adventure, and as a good start I saw a whale for the first time in my life…(wow again!)! 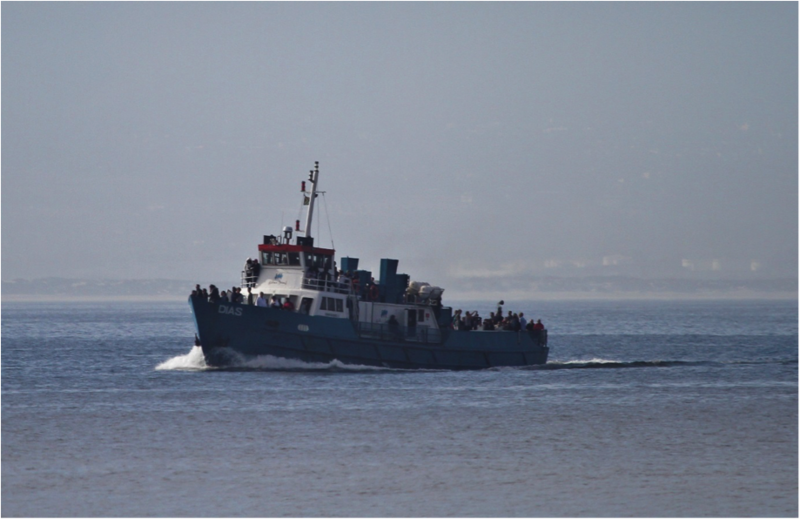 I arrived to Robben Island in the evening, and Davide decided to take me immediately to the colony. 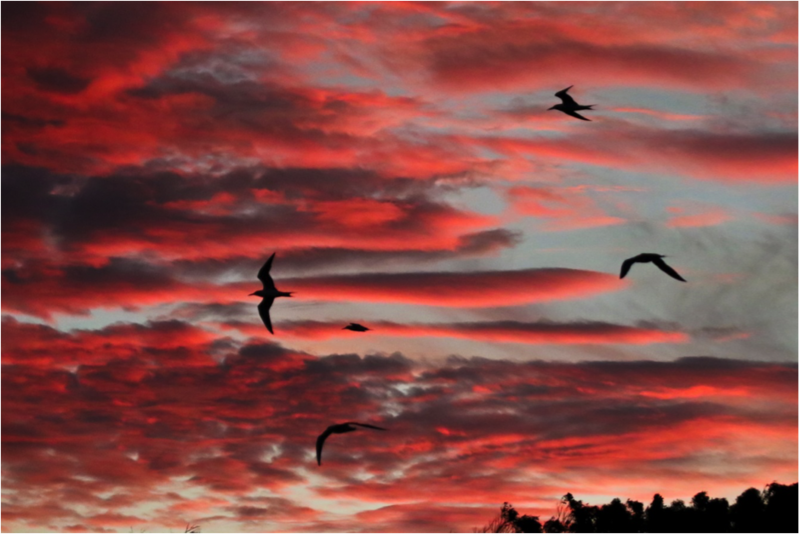 There I met those wonderful terns in the light of a stunning sunset. From this very moment, my journey in South Africa became magical! After I met my study species, I met the team living at research house. I enjoyed my time sharing the house with the “penguin people” … especially for dinner, when everybody would come back from their long day and always have some funny penguin story to tell (in front a nice glass of wine, of course). I have to say, between Italians, Frenchies, Brits and South Africans, the dinners were diverse every day and I loved it! Braai, pasta, frogs (no, I’m kidding! ), cakes and pureed, sooooo good! Food for the belly, not just for the soul. But luckily after we banded the chicks, I started to work in the field all day long. It was so interesting that I didn’t even realize time was passing! (Ok, perhaps this wasn’t true every day…) Studying their behaviour, observing some unusual interactions, which often Davide had to explain to me, combined to form a very unique working experience. My work in the field was intense and really stimulating, with plenty of surprises. Like the first time I saw a hartlaub’s gull brutally steal a fish from a baby tern! Well, I didn’t know those neighbours could be so nasty ☹. I respond to Maël in French “de rien!” I really enjoyed my time with him in Robben Island. In the last few years I have grown as researcher, switching from working as a field assistant myself to having my own project with my own field assistants. It gave me the opportunity to receive help from other people and in return help fuel their skills and passion for research. It’s not only for the data collection or for the PhD project itself. It’s sharing time with interesting people, it’s learning something new every day, it’s sharing dreams and fears, it’s the life of a biologist!